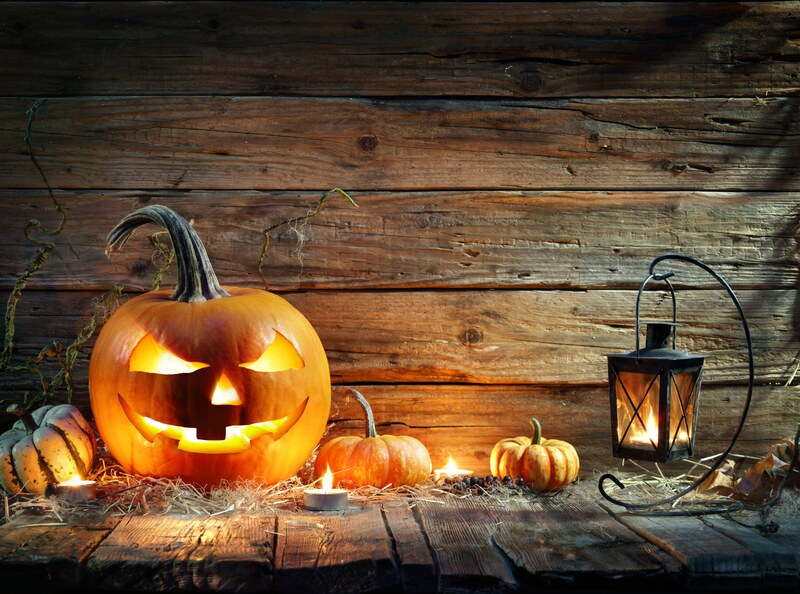 Now-Oct. 30 — Halloween events at American West Heritage Center: Head to 4025 S. Hwy 89-91 in Wellsville for a variety of Halloween events throughout the month of October. Hours and dates for the Corn Maze on the Farm, Haunted Hollow and Fall Harvest Festival vary and can be found here. Ticket prices can be found here and start at $5. Now-Oct. 31 — Black Island Farms Corn Maze: The Corn Maze and Courtyard at Black Island Farms, now at 2075 S. 4000 West in Syracuse, includes a train, straw mountain, giant slide, corn box and more. You can also go for a pumpkin-patch hayride and visit the farmers market. Hours vary by day and tickets start at $8. Oct. 27 —Witchstock 2018: Enjoy the Zombie Crawl down Historic 25th Street at 6 p.m., then head to the Monster Bash dance party at 8 p.m. at the Odgen Amphitheater. Drinks will be available for purchase at the Monster Bash. Both events are free and open to the public, while the 4 p.m. Witches Tea is sold out. Multiple dates in October —BooLights! at Hogle Zoo: Ride the train and see the graveyard, land of spiders and pirates’ lair at the Hogle Zoo, 2600 S. Sunnyside Ave., during BooLights! on multiple dates in October. Walk through the Bat Cave set over Emigration Creek, find your way through a Harry Potter-themed maze and visit Hogle Zoo’s ”Spiderella” and her pals at the Wyatt Fricks Discovery Theater at Creekside. Tickets start at $9.95 and can be purchased at the link above. Now-Nov. 4 —Pumpkin Nights: Enjoy dazzling, multi-sensory displays and over 3,000 hand-carved pumpkins at the Utah State Fairpark at 155 N. 1000 West. The outdoor, family-friendly Halloween experience is already underway. Tickets are $20 for adults, $16 for seniors and kids 4-12 years old, or $60 for a family pack. Children 3 and under are free. Now-Oct. 31 —WitchFest at Gardner Village: Enjoy some family-friendly fun at Gardner Village, 1100 W. 7800 South in West Jordan. This year’s festivities include a scavenger hunt leading to witch displays, Breakfast with a Witch, Witchapalooza Music Dinner Theater, a Witches 5K Run/Walk and the Witches Night Out. Ticket prices vary by event; find a full list of event times and prices here. Now-Nov. 2 —Nightmare on 13th: Head to Nightmare on 13th at 300 W. 1300 South in Salt Lake City, to have the daylights scared out of you this month. Individual tickets for the award-winning haunted house start at $25 and can be purchased at the door. Hours vary depending on the day, so check the schedule here before you make the trip. Halloween approaches, and with it comes a plethora of ways to scare the living daylights out of yourself. Here are just a few options if you prefer your nights less. Oct 12-14 — FearCon: From a vampire circus and creepy escape rooms to fire-breathing entertainers, this convention has it all. There is also a Spooky Kids Con, where kids can have more fun and less fright. The convention, at Riverbend Event Center, 1085 Winding River Cove W. in Salt Lake City, 'celebrates all things Halloween, horror and the fantastical,' according to its website. Kids 12 and under get in free, and ticket prices range from $19.95 for single-day admittance to $99 for a platinum package. Oct. 13, 18-20, 27 —Little Haunts: Dress up and visit This Is the Place Heritage Park, 2601 S. Sunnyside Ave., between 10 a.m. and 5 p.m. on select days to visit the Story Telling Witch, go trick-or-treating, take pony and train rides, and more. Tickets start at $8.95 and can be purchased here. Oct. 22-24 —Haunted Woods: Younger audiences will enjoy the new 'Silly Trail,' billed as 'not-scary' and 'kid-friendly,' which will run from 6 p.m.-6:30 p.m. Thrill seekers might consider the scarier “Spooky Trail,” which runs from 6:30 p.m.-8:30 p.m. The woods are located at 5130 S. State, Pavillion #5 in Murray. Admission is $5; kids 3 and under get in free. Tickets can be purchased in person and proceeds go toward the National Exchange Club of Utah in combatting child abuse and domestic violence. Oct. 20 —Ginormous Pumpkin Regatta: The 8th-annual Ginormous Pumpkin Regatta will be held at Oquirrh Park and Lake, 14634 W. South Jordan Pkwy. in South Jordan, from 10 a.m.-12 p.m. Watch people enter gigantic carved-out pumpkins — some over 1,000 pounds — and row across Oquirrh Lake in Daybreak. Admission is free. Oct. 31 — Howl-O-Ween! on Historic Main Street: Head to Park City on Halloween for trick-or-treating at 3 p.m. and stay for the costumed-dog parade at 5 p.m. Both events are free. Find more information at the link. Year-round —Grimm’s Ghost Tours: Hop on a bus and take a tour of some of Salt Lake City’s favorite haunted spots. Some tours are year-round and others are seasonal; take your pick of tours starting at $13 for children and $25 for adults, and get tickets here. Now-Nov. 3 —Hee Haw Farms: Visit a petting zoo, go on hayrides, get lost in a corn maze and more at Hee Haw Farms, 95 S. 2000 West in Pleasant Grove. Admission starts at $9. Hours vary by day; find them here. Oct. 27 —The Haunted Half: Dress up and get ready to run for your life at this year’s Haunted Half in Provo. Choose from a half marathon ($84.95), 5K ($39.95) or Halloween Half Mile ($9.95). The first race starts at 8:30 a.m. and wraps up at University Place Mall, 575 E. University Pkwy in Provo. Register and get more details here. Now-Oct. 31 —Haunted Forest: The Haunted Forest bills itself as the largest haunted attraction in the state, and there’s certainly something for everyone on the long haunted trail and grounds. The forest is at 6000 W. 6400 North in American Fork. Tickets start at $25 and can be purchased online or in person. Hours vary based on the day; find the schedule at the link. Now-Oct. 31 —Halloween Cruise: Kids will love a themed riverboat ride on the Provo River that features more than 100 hand-carved jack-o-lanterns, a pirate attack and a scary story told by the boat captain, with a round trip taking about 20- 25 minutes. Visitors are also welcome to watch the movie “Spooky Bats and Scaredy Cats' for free before or after the cruise. The cruise starts at 3606 W. Center in Provo. Tickets start at $8 and can be purchased in person or online; children 2 and younger are free. Now-Nov. 3 —Cornbelly’s: At Cornbelly’s you can find a corn maze, a separate haunted corn maze, and a fall festival held at Thanksgiving Point in Lehi every October. This is a long-standing tradition for many Utahns. Hours vary by day, so your best bet is to check its calendar before planning your visit. General admission starts at $12.95 and you can buy tickets here. Find Cornbelly’s at 3003 N. Thanksgiving Way in Lehi. Multiple Dates in October —Staheli Family Farm Halloween Events: Walk through a corn maze, pick a pumpkin out of the pumpkin patch, visit the Field of Screams, watch the Zombie Rampage and more at Staheli Family Farms, 3400 S. Washington Fields Rd. in Washington. The full schedule can be viewed here (and some events are free.) Tickets start at $8, (keep an eye out for special deals), and can be purchased online at the link above. Now-Oct. 29 —Pumpkin Train: Take a ride on the Pumpkin Train at the Heber Valley Railroad, 450 S. 600 West in Heber City. Characters in costumed will be on board and visitors will be treated to a 40-minute ride, a pumpkin cookie, Halloween sticker and a pumpkin out of the pumpkin patch. Tickets are $15 for ages 3 and up, $3 for toddlers, cost includes a pumpkin, and free for toddlers, cost does not include a pumpkin, and can be purchased here. Multiple Dates in October — y Hollow Haunted Wagon Rides: Go on a haunted hayride through Soldier Hollow in a horse-drawn wagon. Listen to the Legend of y Hollow narrated as you wind your way through the spooky scenery. Tickets are $25 and must be purchased online; children 3 and under are free. Wagon Rides start at Rocky Mountain Outfitters, 633 W. Soldier Hollow Drive in Midway. Multiple Dates in October —Hotel Vernal Haunt and Ghost Tours:Stories of ghost sightings and paranormal activity seem to attend every old hotel, including the Hotel Vernal, 120 E. Main Street in Vernal. A tour guide will take you on the hotel's Ghost Tour through the building's spooky history. Guests can also encounter zombies, unsettled spirits and mad scientist during the hotel's Fear Haunt. Tickets can be purchased online or at the hotel counter. Prices range from $8 for students, veterans and seniors, and $10 for other adults, for either the Ghost Tour or Fear Haunt. Those looking for a double scare can get Ghost Tour and Fear Haunt combo tickets for $12 for students, veterans and seniors, and $15 for other adults. Proceeds go to local charities.